PIM'S TEKDIVING PTD is an organization which focuses 100% on technical diving. One can get training from Nitrox diver until Tri-Mix Instructor Trainer. PTD is the only diving school which only conducts technical diving training from different technical diving agencies. PTD HQ is located in Abbenes (The Netherlands). Facilities are located throughout Europe. 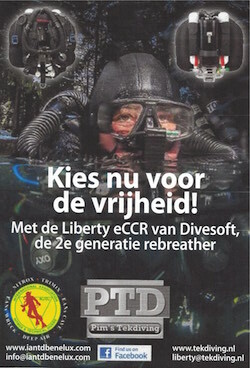 PTD introduces technical diving to a broader diving public and puts safety first! That's why PTD demands the most from its instructors and facilities. PTDcontributes actively to (technical) diving research and (training).